Nothing lasts forever. Although this is anathema to anyone who works in a museum, it is a fact which we are all more than acutely aware of. The whole purpose of a museum is essentially to act as a repository of the past for the future. 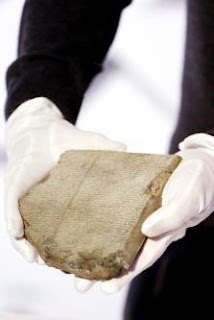 A “time capsule.” The aim of the museum as an institution is to preserve the material aspects of the past for future generations to see, study, understand, appreciate, and enjoy. But there is a popular misconception that museums are static, monolithic things. It’s a commonly held notion that museums are definitive and unchanging. The idea of things languishing forgotten in “dusty basements” is a cliché repeated ad nauseam in the Press, yet such hackneyed old adages often could not be further from the truth. Museums are as much “time machines” as they are “time capsules.” Museums are constantly changing. Re-categorising, rearranging, and redefining our understanding of the past. I was starkly put in mind of this fact, at a very personal level, when I walked into the Egypt and Nubia Gallery at the British Museum recently. This gallery was the first major ‘new’ exhibition space which I worked on at the BM back in 1991, and, as such, it has always had very special memories for me. Over the last year or so certain elements of the gallery have been completely altered, reflecting new finds, new research, and changes in interpretation – hence several of the displays which I had first worked on have now disappeared. I felt rather despondent when I came across some of the old information panels, which I distinctly recall installing as new, stacked up for disposal beside a rubbish skip in one of the back areas of the Museum. As I wandered (feeling slightly bereft) around the gallery itself, looking for the familiar displays I’d formerly worked on, seeing which had gone and which remained, I was suddenly struck by that very thought: Nothing lasts forever. And I suddenly found myself wondering why I’d never thought before to take any photos of those first ‘new’ museum displays which I’d worked on? ... I was then struck, perhaps even more profoundly, by the thought that it wasn’t as if I hadn’t had ample enough opportunity to do so – I’d had nearly 25 years in which to do so! … Time waits for no man, indeed. 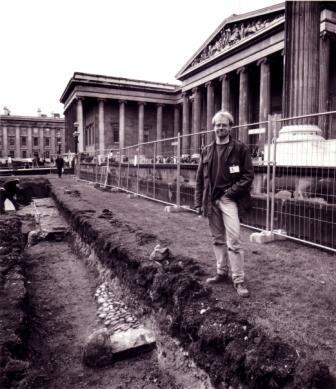 It is 25 years this month, today on February 18th in fact, that I first set foot behind the scenes at the British Museum. I was still at school and I hadn’t even sat my first exam yet. We’d been told by our teachers that we would have to do ‘work experience’ in the summer term, and we’d each been given a short questionnaire to fill out, detailing our interests and career aims, if we had any. I was already very interested in history and I was particularly keen about archaeology as my main subject area of interest, hence I went to great pains to make this clear on my questionnaire before handing it in. A couple of weeks or so later we were each informed of our work experience placements for the summer term. I eagerly opened mine to see what the school’s Careers Officer had found for me – expecting / hoping for something in a local museum perhaps? … But something had clearly gone wrong. I’d been placed to spend two weeks with a car mechanic. I had no interest in cars whatsoever and was deeply baffled as to how my assiduous answers to the questionnaire had landed me this result. I went to speak to the Careers Advisor, only to be told that: “You need to be more realistic. Nobody ever really gets a proper job as an Archaeologist.” That distinctly discouraging statement, in effect, became the spur and motivation to the rest of my life. 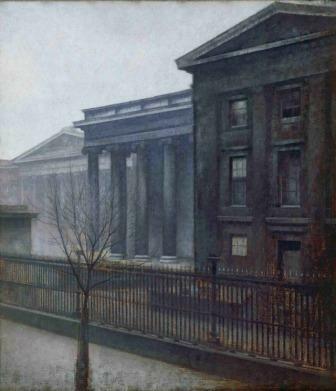 From around the age of about nine years old I’d spent most of my weekends visiting the BM. I was absolutely fascinated by the vast range and the unfathomable age of the many artworks and artefacts from seemingly all parts of the globe which were collected in the galleries of the Museum. Room after room in this great labyrinth of the mind seemed to stretch on endlessly, packed with curiosities and marvels. In those days the British Library was still in residence at the BM in Bloomsbury, and the old illuminated manuscript galleries and the original King’s Library, filled with old oak display cases, used to mesmerise my mind for hours on end (see here) ... Wouldn’t it be marvellous to work in a place like this? Imagine spending every day immersed here? … In truth, I had no real idea of what such a job might actually entail – but it certainly seemed far more enticing than the prospect of greasy spark-plugs, oily carburettors, and worn out brake-pads. I wanted to find out. Who dares, wins. So I gave it a shot. I wrote to each department of the Museum and asked if I could do my work experience there, behind the scenes. To their credit, I received a reply from every department. I remember the excitement of opening each letter as they came in one-by-one. At first I was somewhat disappointed as several, very courteously, informed me they were either too busy or I was too young, yet encouragingly almost all said I should apply again in a few years time. But then I received the first which, unbelievably, offered me an opportunity. I only needed one, but in the end I had offers from several departments. Eventually I had to choose which golden opportunity was the one I should take. I decided I’d do my official 'work experience' in the Department of Egyptian Antiquities, but, as I was eventually aiming to study archaeology at university, I also chose to volunteer in the Prehistoric and Romano-British Department in my school holidays too. Rather sadly I had to write back to a couple of departments to say thank you, but that there just wasn’t enough time in the school year to visit all of them! … Looking back, this seems unbelievable to me now – despite the fact that today the Museum has a vast programme for volunteers, who all do amazing work for the Museum, I sadly doubt we’d be able to look after a volunteer quite so young in quite the same way nowadays. I had two wonderful stints behind the scenes for my work experience that year. I was introduced to a whole spectrum of different areas of museum work. 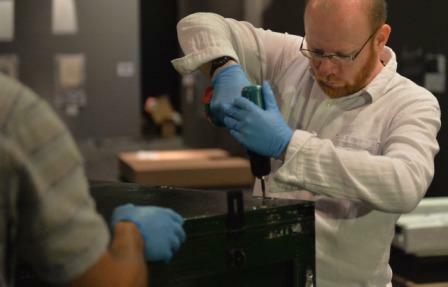 I got to help out with day-to-day gallery maintenance, basic care of the collections, as well as helping out with object mounting and display work for new exhibitions, such as the then new Egypt and Nubia Gallery. I also got to chat to curators and conservators, and find out all about their personal research projects. I got to help out with answering public enquiries, and even some actual archaeology, in the form of post-excavation finds processing. But by far the most thrilling aspect of my first few weeks at the Museum was simply the very real privilege of going behind the scenes, seeing the stores and actually handling the objects myself. I learnt so much in such a short space of time, and it’s certainly no cliché to say that my life was never the same again. I now knew exactly what I wanted to do with my life. I kept in contact with the friends and mentors I’d made at the Museum and a few years later, once I was enrolled as an undergraduate studying anthropology (with as much archaeology as I could add in) I returned to the BM as a regular volunteer, helping several days a week. Just before I completed my degree I was lucky enough to join the staff full-time, and since then I have moved through a number of different departments and roles in the Museum. 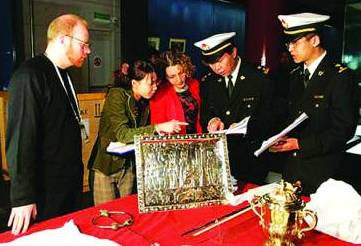 In doing so, I have managed to gain a very broad and yet detailed knowledge of the Museum and its collections (see here). I’ve looked after many students and volunteers in that time, which, having begun as a volunteer myself, I’ve always found particularly rewarding – to see in the eyes of others the wonder and enjoyment which one can experience from that hands-on connection to the past which comes from working within a museum is priceless, a reward in itself. I’ve done many other interesting and unusual (as well as some distinctly daft) things during my time at the Museum. For instance, helping to get the latest, most recently excavated Romano-British find connected to gladiatorial combat in the UK into our then current major exhibition, Gladiators and Caesars (you can read more about that find here). 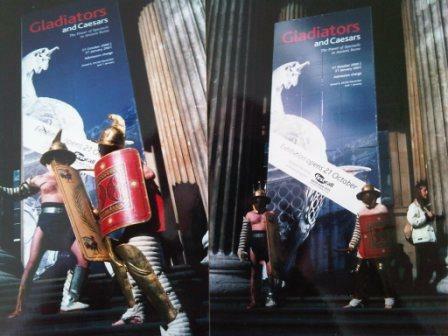 I was also persuaded to dress up in full replica gladiatorial armour for the opening event of this same exhibition, at which I also met the actor, Mark Rylance (see here). Perhaps most fortunately of all though, largely due to my present role in the Museum, I’ve been lucky enough to travel and work in other museums overseas for extended periods. In this way, I have made friends and connections across the world, and benefited from that exchange of knowledge. Museums are unique – but essentially, for me, the most important thing about museums, whichever museum you go to, is that they are all institutions which are founded on that same selfless ethos which characterises all proper museum work and all true museum workers: nothing lasts forever. Hence we must do all we can to preserve as much as we can for future generations. Museums last longer than any of us. The knowledge and interpretation of the objects with which we work will never remain the same forever. Museums evolve and change with time, but what remains essential is the memory, the wonder, and the interest which they encapsulate for everyone. As a guiding ethos, this is something which I hope will last forever.